We are small detail that matters. Need a custom premium design for your e-commerce website? You are on the right page. 82Cart provides a custom webstore design and development service. Fully integrated with a simple and powerful content management system. Based in Jakarta - Indonesia, 82Cart's portfolios ranging from online fashion, baby, beauty, food & beverages, home & decor, to art store. Our experiences in online store development has brought brands and startups to succeed. Allowing you to focus on the most important part: growing your business. 82Cart is Jakarta based creative technology company specializing on developing clean, modern & high quality e-commerce websites. 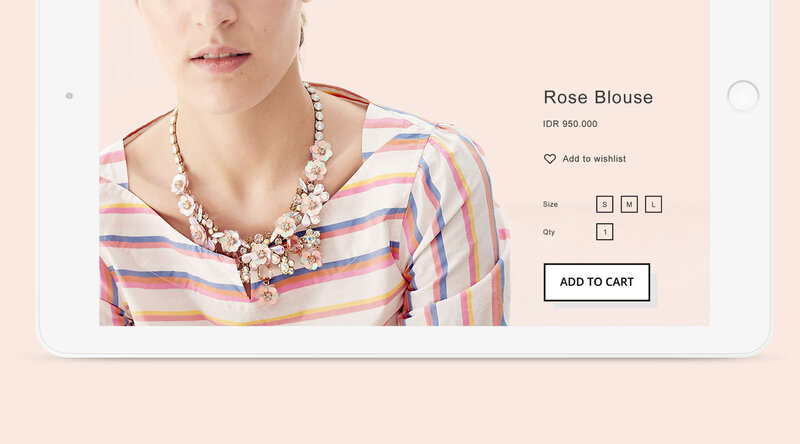 Since 2010, 82Cart has been empowering their clients with a vision to create a sumptuous webstore identity that reflects the presence of the brand online backed with powerful technology. We provide a custom e-commerce design & development service, fully integrated with a simple and powerful content management system. With a wide range of portfolios from online fashion, baby, beauty, food & beverages, home & decor, to art store. Our experiences in online store development has brought local brands and startups to succeed in their online business. Copyright © 2019 82Cart E-commerce. E-commerce by 82Cart.